October 2013. 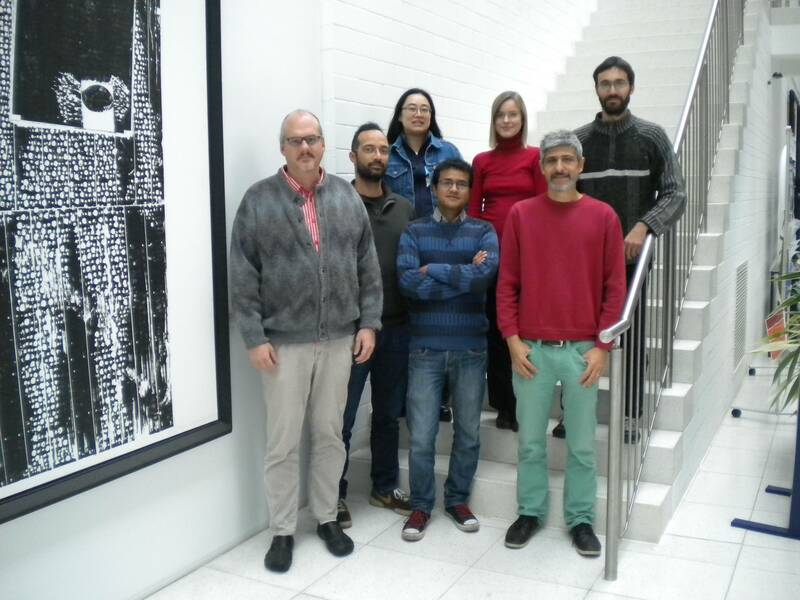 Enrique, Jean-Fred, Nancy, Arvind, Marie, Miguel, David. October 2011. Cui, Armando, Francisco, Enrique, Marie, Jean-Fred, Arvind, Miguel, Nancy, Martin, David. December 2010. 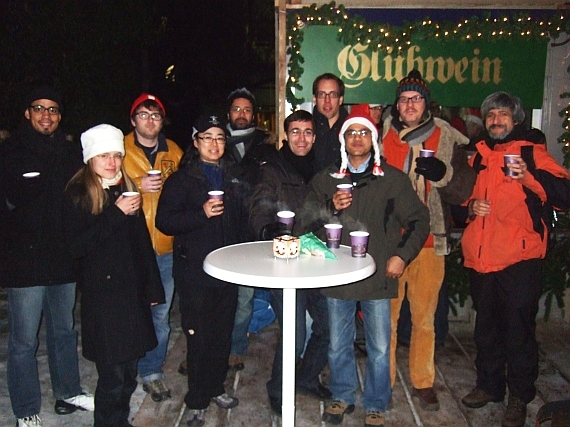 At the MDC's Weihnachtsmarkt. Adriano, Marie, Matt, Nancy, Jean-Fred, David, Martin, Arvind, Enrique, Miguel. June 2010. 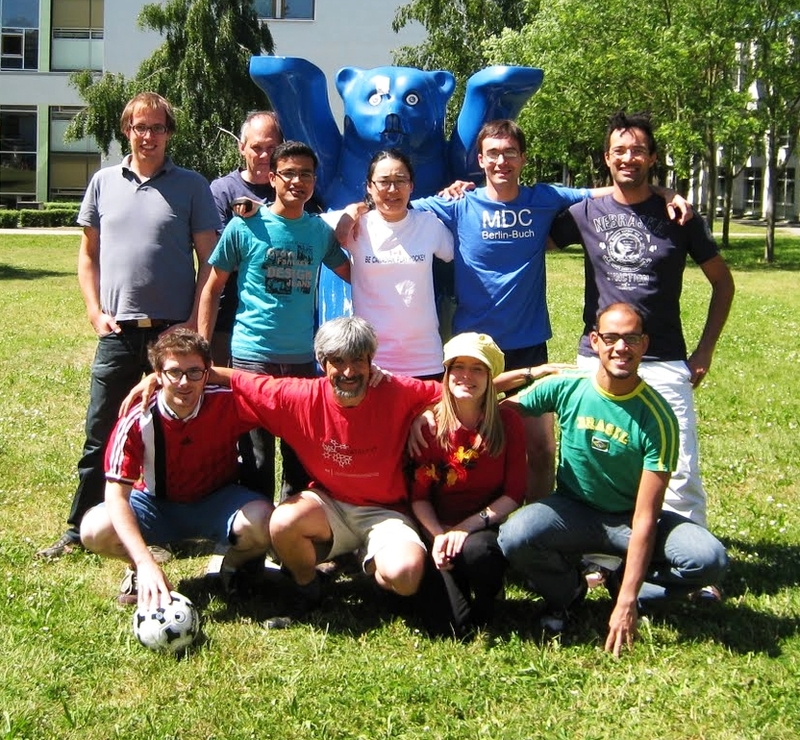 Top: Martin, Enrique, Arvind, Nancy, Bear (goalkeeper), David, Jean-Fred. Bottom: Matt, Miguel, Marie, Adriano. January 2010. David, Matt, Martin, Nancy, Jean-Fred, Bear, Miguel, Enrique, Adriano. October 2008. 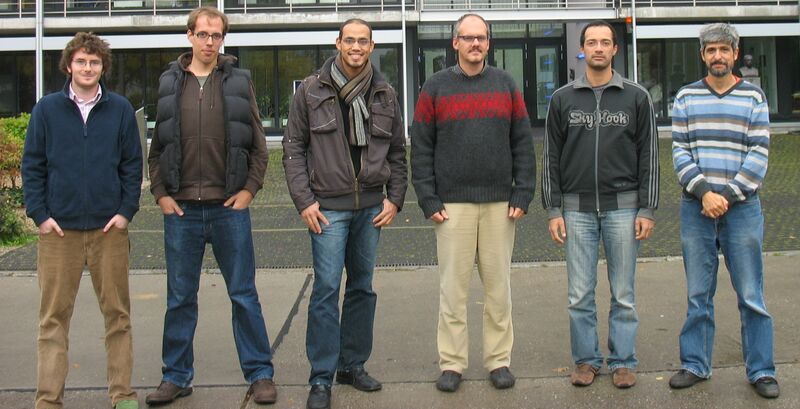 Matt, Martin, Adriano, Enrique, Jean-Fred, Miguel. May 2008. Matt, Enrique, Bear, Miguel, Jean-Fred.